The first graduating class from Columbia College-Mesquite. Photo submitted by Lavinia Franklin. 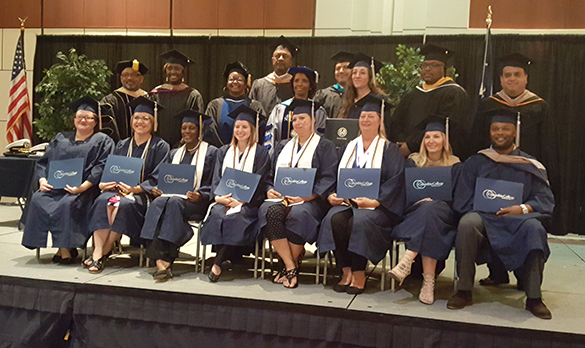 On Saturday, July 15, Columbia College-Mesquite celebrated its first graduating class during a joint commencement ceremony with Columbia College-Fort Worth, held at the Fort Worth Convention Center. Among the list of graduates were a mother, Donna Zieba, and her two daughters, Kim and Tiffany. Donna, Kim and Tiffany all currently work for the Mesquite Independent School District as teaching assistants. They all have also passed their initial teaching exams and have been offered teaching positions in the Mesquite ISD. All three graduated with a Bachelor of General Studies degree, made the dean’s list and are members of the Alpha Sigma Lambda national honor society for nontraditional students who achieve high scholastic standards while handling their life responsibilities. Donna, an Air Force veteran, is also a member of the SALUTE national honor society for student veterans and military personnel. The Zieba family’s achievements were highlighted by KDFW FOX 4 News in Dallas, and two other members of the family — James and Holly — are on track to graduate from the Mesquite location next year. Columbia College-Mesquite is proud to celebrate the Ziebas and the rest of our first graduating class! By Kim Major, senior academic advisor for Ready.Aim.Hire. You are not alone. That statement is as true for an adult student as it was for Fox Mulder in the TV show The X-Files. Deciding to begin higher education as an adult or return to it after being away for a long period of time is a courageous choice! It’s not going to be as scary as you might think. Here is proof that you are not alone. The National Center for Education Statistics (NCES) projected a 13-percent increase in enrollment of nontraditional (adult) students between 2011 and 2021. So if you are an adult who chooses to pursue higher education, how will you choose your first course? What do you need to know about studying? Where can you find help if you struggle? Meet with your advisor. She or he works for you! Think about your favorite subjects in high school or courses you had success with in college, if this is not your first time in college. Your academic advisor will then help you select your first class. Begin with an introductory course, even if you’ve attended college before. Try a beginning course in your major, such as BIOL 108, CJAD 101, HUMS 105, MGMT 150, PSYC 101 or SOCI 111, OR take something in an area that interests you, such as HIST 121 or ARTS 105, OR even take a course to help you refresh or learn new skills, such as INCC 123 or ENGL 107. Before you go to your first night of class or log into an online class, read the course syllabus. Hopefully, you’ve already looked at it, but take time to read it again. Flip through your textbook. Better yet, read the first chapter. You do have your textbook, don’t you? Get to know fellow students and create a support network. Exchange contact information. Support from family and friends is one of the most important success factors for adult learners. Use your resources, including our online Tutoring Services and electronic library. You can find the current Tutoring Services schedule here, and some Nationwide locations offer face-to-face math and English tutoring free of charge. The library has course guides for a ton of subjects, from art and biology to psychology and religious studies as well as many other areas tied to specific Columbia College courses. Talk to your instructor, especially if you feel unsure or are struggling. 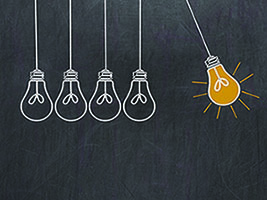 Consult the list of strategies for success, specifically for nontraditional adult learners. At Columbia College, the Writing Center and Tutoring Services webpages have links to study strategies and skills, including time management, note-taking styles, test-taking tips and other helpful topics. Once you get through that first course, you will be able to build on your experience and become increasingly successful. You are ready to begin! The CC 360 Nationwide digital newsletters are an informative way to keep our community up to date on all the happenings around Columbia College, and we want your help making them the best they can be! We want to hear from you. We want to give you a chance to tell us which features you use the most when we send out our newsletters at the beginning of each semester, what sort of content you like to see, and what types of things you would like to see more of in future editions of the newsletter. Simply click on this link and take our anonymous, nine-question survey about the CC 360 digital newsletters to make your voice heard. Your feedback is appreciated! College holds a different, unique set of challenges for adult learners, nontraditional students who are either picking up their college education again or entering an institution for the first time since high school. The challenges start before enrolling in classes, continue during a college career that includes juggling family and professional responsibilities with schooling and extend long after a degree is earned, with financial-aid debt. Yes, most students — traditional and nontraditional alike — incur debt. But nontraditional students have a special set of circumstances to consider when deciding whether to take on this debt, as well as how much they can take on. Not completing a degree: A 2015 Federal Reserve Bank of New York study concluded that students who don’t complete their degrees are significantly more likely to default on their loans than ones who do. This leaves borrowers with no degree as well as financial liabilities. U.S. News & World Report urges nontraditional learners to find ways to navigate their courses without having to take out loans. Deliberate course planning will help to ensure academic success and may include limiting the number of courses taken to be able to pay out of pocket, utilizing tuition and student loan reimbursement programs through their employers and ensuring that opportunities to utilize Pell Grant funding are maximized. The Department of Student Success recommends working with advisors to ensure you are setting a good pace for yourself and, if you do end up needing to take time off school, to contact Student Success to talk about your options with loans to ensure you are able to successfully navigate the financial liability of loans. Leaning on loans: If you’re going back to school to better your employment credentials in the hopes of earning more money in your career, consider the final balance. Will the potential increase in salary outweigh the loans you’ll eventually have to repay in order to earn your degree? The article points out that nontraditional students don’t qualify for many of the grant and scholarship programs that traditional students do, so they’re more likely to have to rely on federal and private loans. Student Success encourages students to look at an estimate of what their borrowing might end up at over their time in college to ensure that their return will be worth the investment (or loans). The good news is, at Columbia College, tuition for online undergraduate courses for 2017-18 is about half the cost of the national tuition and fees average for private nonprofit and for-profit institutions, based on a 30-credit-hour academic year. Forgetting about the long term: A 22-year-old recent graduate has a 40-year career ahead of him or her before retirement age. That leaves plenty of time to pay off student debt. A 42-year-old recent graduate has to fit his or her financial obligations into a tighter window if he or she still wants to retire on time. U.S. News & World Report suggests budgeting a debt payment schedule based on your current income rather than any expected pay bump with a college degree. We hope that this encourages our students to look at paying off loans faster than required by the payment plan or borrow less. The more that they can do this, the faster they will get to a better financial place with their degree. Even with financial aid considerations, going back to school is a decision that could pay off in the long run. According to 2015 U.S. Census data, the yearly median earnings for people 25 years and older were 21 percent higher with some college or an associate degree ($33,820) than with a high school diploma or equivalency ($28,043). The figure for bachelor’s degree holders ($50,595) was 80 percent higher than the high school earnings level, and the figure for graduate or professional degree holders ($66,857) was 138 percent higher. Education matters! 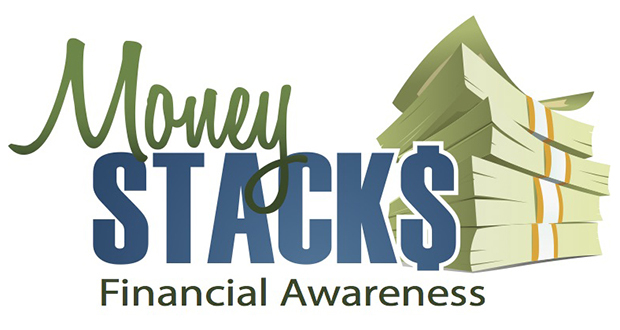 If you need any guidance utilizing the financial resources Columbia College has to offer or have questions about how to be a smart borrower, the Columbia College Department of Student Success and Money Stacks is here to help. 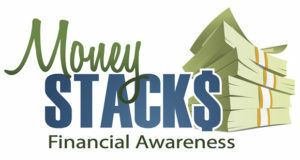 You can contact the Department of Student Success and Money Stacks at (573) 875-7860 or studentsuccess@ccis.edu. Deciding to leave your field for another can be a stressful process, definitely not one to be taken lightly. But, in the long run, it could also end up leading to a rewarding change of pace, either financially, emotionally or in other aspects of your life. How do you feel at your current job? 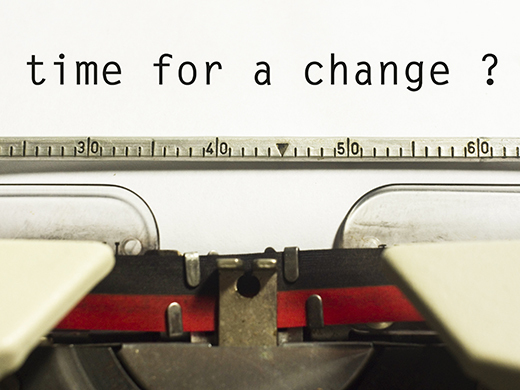 A February 2014 article from Fast Company magazine lists three telltale signs that it may be time to change careers. First, is your paycheck the only thing fueling your workday? Second, do you wake up every workday wishing you could be anywhere but where you are? Third, do you have bad performance reviews? If you’re getting no enjoyment out of your job, performing in a mediocre manner and only showing up every day to get paid, it may be time to move on. Are you switching for the right reasons? So how can you tell whether you’ve hit a momentary rut at work or it’s time to plant roots somewhere else? An April 2013 article on KeppieCareers.com cautions against making rash decisions based on factors that may not even change with a career move. Evaluate why you’re unhappy with your job. Is it the work itself, or the office culture? If you’re frustrated with long hours or a lack of upward mobility, ask yourself if it’s worth starting at the bottom rung of the ladder somewhere else for the chance those aspects will be more favorable. If you’re feeling bored or unchallenged, think about how long it may be before you start feeling that way in a new career. Is there anything you can do to improve your current situation? The answer to your work malaise may not be outside your workplace’s walls. It may lie within you. An April 2012 Forbes.com story on the biggest mistakes career changers make suggests that you start repairing relationships and building respect and skills at your current job before deciding whether to leave. If you do end up leaving, then you’re in a better position to succeed in your next career. 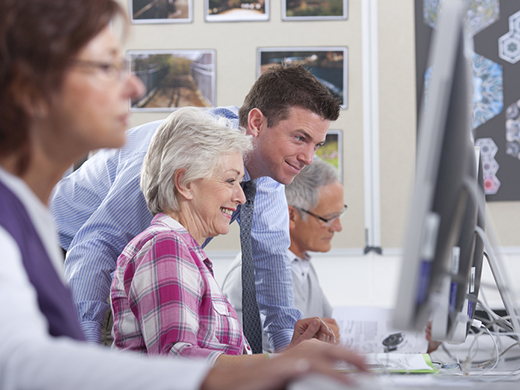 If you stay, then you’ve taken steps to improve your workplace environment. Whatever you do, the article warns, make sure you put copious amounts of time and research into the decision. And if you do change careers, be sure to give yourself time to settle in before deciding you need to be on the move again! If you’re in need of advice, you can also reach out to the Grossnickle Career Services Center at (573) 875-7425 or email careerservices@ccis.edu.